Since ancient times Symbols are images that we place meaning upon. Life talks to us in a series of symbols, sometimes you have a certain items, images that keep popping up around you. for instance many people believe that when you see a white feather an angel is close. Symbols are universal, unlike the written word an image can be understood by all. Archaic symbols can be seen from the most ancient sites, you could even call a statue/sculpture as symbols. They can be used as a focus for meditation, to draw your attention to something or even work with a complete set of symbols such as the tarot deck or the I Ching (to list 2 out of a very long list). Working with symbol Dream time is a time where we engage in our symbols, though some images have particular meanings we also have our own set that emerge over time. Living with symbol is tuning into the radio of the Universe. Everything we do holds magic and wonder. Living in the now, trusting that the God/the universe will provide and letting ourselves just be. There is a magic that comes with this ethos. At times we all sometimes get lost and feel down and powerless/loveless. When surrounded by darkness and atrocities it easy to lose hope. We have such a power if only we knew. Working with symbols whether that is interpreting a dream or paying attention to images, or the spoken word opens up your spiritual communication. With each and every prayer we use our free will to call to the higher powers for help and guidance. The universe provides, often in unexpected ways and never how we think. A Force of light, there are many types of archangels and angels, all working for the higher powers. Each archangel has his/her own sphere of work as it were. Knowing your archangels brigs the gift of knowing who to call with individual circumstances. We differ to Arch/angels because we have free will. Daily we make choices, it is our free will is that which gifts us with the divine. Though there are mighty archangels they have their own parameters of work. If you need help – ask for it, an angel might just be waiting for you to say help! Archangel Raphael – Air – Seeing life from a higher level getting all into perspective, healing and clear communication. Archangel Michael – Fire – Defender of the word of God, Leader of the warriors of light. Archangel Michael is the most popular force that people call upon. Each Archangel governs a particular force and the list is extensive! Angels have a job to do and if called upon will help, in fact sometimes they are just waiting so they can actually help you. Archangel Auriel – Earth – Governs the land, home and family. If you need help – ask for it, an angel might just be waiting for you to say help! In Dreams: Angels are so special and if you dream of an angel then you have been visited by one, when you wake up and feel profoundly moved and touched by something beautiful you have been. If you have had someone close to you pass away, sometimes if you are really, really lucky an angel will come and get you and take you to them just so you feel reassured. Hold on tight to the beautiful blessing you have received. This contains all the information of your soul experiences, all your lives from lives gone by to now. This is what Edgar Cayce (1877 – 1945) ‘the Sleeping Prophet’ would access when he went into trance and give medical advice to those that had lost all hope – a psychic Dr House! When he would give his readings he also gave out information on the patients past lives. These readings gave a lot of information on Atlantis its technology, its downfall and its re-discovery. An Egyptian glyph for life. An Egyptian God, who is either seen as a Jackal or as a Jackal headed man, to the Egyptian’s Anubis was a protective and guiding force.The God Anubis bought the dead over from the land of the underworld to the hall of Justice. Goddess of love. The Goddess Aphrodite was asked to remove her famous girdle that made every one fall in love with her. Greek Sun God, has a famous statue at Delphi engraved with the words “Man Know thy self”. The Greek Goddess Athena stands for personal justice balance and fairness. to be attacked can come from anxieties, feeling stressed that and maybe pressured from life’s demands. 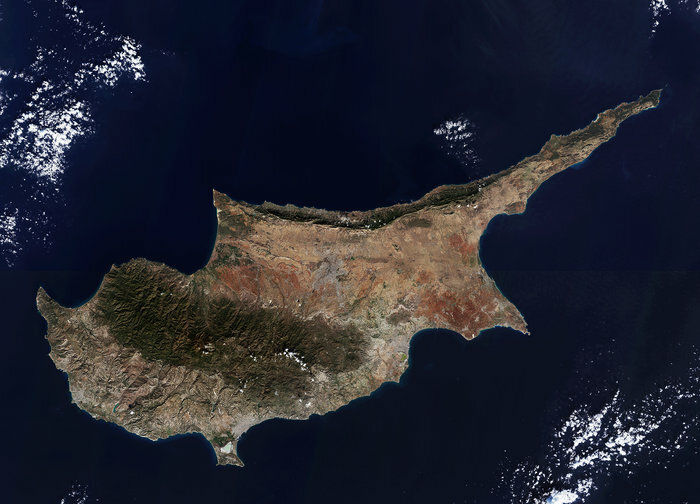 Cyprus, Island of Aphrodite, ancient name Alashiya. Ancient name of this city that was once considered a myth was 'Ilios'. Ilios is Greek for Sun. The promise of new life, new beginnings. a creature of the night, which uses sound rather than light to find their way, their basic message is when you cannot ‘see’, ‘listen’ for direction. 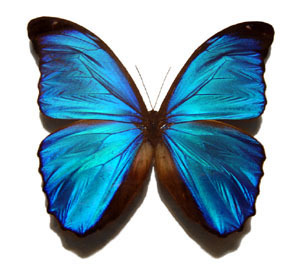 – symbol of the cycle of life and immortality Butterfly’s symbolise life and the transformations that one goes through to become the beautiful end product. can be seen as yourself, moving from one point to another. If someone else is driving then that could signify that your direction is governed by somebody else. Driving your own car would be good as you are in control. Symbols of eternit. Black cats are creatures of good fortune. half man, half horse, Chiron is known as the wounded healer, although he could heal others he could not heal his own wound as he was shot in the leg by Hercules with an arrow which had Medusa’s blood on it. appearances not not always as they seem, to see a clown could be someone hiding behind a mask. Particular crystals have different energies, if you dream of a particular crystal then check out the crystal page and see what its area of influence is, maybe you need to work with that particular stone. In many religions the cow is a sacred symbol, for she gives nourishment. death is really rebirth, if you dream that you are dying this could be the ending of one phase for a new one to begin. Generally can be seen as a protective force, especially if it’s black. If you are being attacked by a dog then caution, watch for someone who pretends to be a friend. Symbols of spring associated with Apollo. A lucky dream indeed, dolphins can help us travel our subconscious: the light and beautiful parts of ourselves. Universally represent peace and love. a time of nourishment, eating – taking things in, digesting information. ancient creatures of strength, wisdom and power. With some myths the beginning of creation began with an egg. This is also a symbol of the soul. wishes coming true, the importance of dreaming and believing in the magic and mystery of life. creatures of the air, the ability to see life from a higher perspective. What exactly is fear? Fear is a personal reaction to….? Is still real although invisible, its actually something that we create ourselves, hence the ‘ we have nothing to fear, but fear itself’. The closer you look at fear or rather the image that has symbolized your fear, begins to get smaller and smaller until you are left with the root problem which step by step can be dealt with. A bird of flame and fire, that to some to see one signifies true love. In some myths the Firebird is a symbol of the Sun Goddess and to some myths this bird has a sweet voice and gilds all that it touches. Also in some Russian myths the firebird is a creature of light travelling through its own unique paths to its destination. an open gate, able to move forward easily, maybe even moving into a new area of your life. If the gate is closed to you it could be that your trying to access areas/information that is not available to you. The Goddess Athene has a girdle which made men fall in love with her. the little DIY experts of the garden, who work with the seasons. often if you meet someone in your dreams and then he or she seem significant for some reason then they could be a ‘guides’ or teacher. Remember that if you call for help you will be heard. Make sure you note down dreams like this down. Gold the metal representing the Sun, bright and fiery. Green Grass, which is symbolic of a blessing that may exist or is comming. Wet Grass is also a blessing, but is a blessing that is tainted, or has a darker side to it. if you receive healing in a dream, this could be receiving healing whilst sleeping. If you go somewhere to heal then it would be interesting to see if that place existed and go there to receive healing. another representation of self, the different rooms signifying different aspects of your life. Frozen water, water represents emotions. King -Man of established power, having matured and learned the rules of life. Kissing – closeness with another, definitely a shared experience. Lion – Emissary of the Sun, symbolising light, truth and regeneration. Creatures of strength and passion, which can also symbolise secret wisdom – King Soloman was symbolised as a lion. If befriended by one then this could represent a friend or protective force around you. If you look like you could be dinner, this could represent inner feelings of insecurities. Symbolically he is the trickster, he’s in dreams and the joker. He is also known as the messenger to the underworld,and of the heavenly realms. a creature with a human body and a bull’s head. See Taurus myth. Oroborous – snake eating its own tail, symbol of the cycle of life. This was also a symbol of the Greek Goddess Gia at her temple at Delphi. Panther – This is a symbol of the mighty female force: protective, dangerous and beautiful. Phoenix – Creature born of fire which returns to fire. Pomegranate – The fruit of Hades, some of these seeds were eaten by Pesephone who then was called back to spend some time of the year with Hades. The pomegranate itself represents the uterus with ova, the seeds of life and the cycle’s that we travel. A positive sign. Pregnant – This can either be prophetic! or this could be seen as a newness coming about, really depends on the context of the dream. Rainbows – a truly happy omen, a time to wish, to love and to be happy, if you dream of a rainbow make the effort to look for the beauty in life rather than the darkness, after all how we see life is a decision that we make for ourselves. Rain – cleansing, washing away the dust, a purification. Rosesbeautiful roses, these are very hardy plants, they come in many colours: pink – love, red – passion, white – purity, yellow – sincerity, blue – divine love. Runes – this is an alphabet that is used for predictions, each letter has a particular meaning. if you dream of a particular sign then its worth looking to see what it means. Sacred Places – Can be real or visited in a dream, everywhere their are ancient places in the land. Scales – Ancient image of law and justice, represent balance and justice from a spiritual point of view so enhancing universal truths rather than earthly ones that can be quite different. This also represents the high ideals that Libra stands for. Scarab – This symbol related to death and rebirth and also represents Atum (also known as the sun God Ra) as pushing the Sun around the heavens until it is reborn at dawn, only to die each night where he/she fights with the underworld to emerge victorious to begin a new day. To dream of a beetle could signify new beginnings. Sick – The action of being sick could be seen as getting rid of negative energies. Scorpion – Astrologically their they illuminate, as their claws were thought to hold the light. Star – Star of David or six rayed star. The message is: ‘as above below’. Spiders – Are representations of the Goddess, she who spins her web, for myself I always see spiders as sign that She is just about to come out organizing people/situations. Made to place things on, in a dream this could represent the things that are on offer to you in life. Wo/man who has much to teach and learn from. In the Tarot this is signified by the Hierophant. If you dream of a teacher or guide, then listen. Roman deity, Goddess of fertility. Umbrella – Protection from the rain. Vase – Holds many things, a passive object although depending on its state (whether its cracked or bright shiny new) would signify whether it can be seen as a positive or negative sign. Water is a life giver, symbolizing the emotions. Wheel – Represents the cycle of life, life is full of spirals and circles, the moon spirals the earth, we are born, we grow, we learn, we experience, we die, we become reborn. In life we need to rebirth, when we have experienced and learned all that there is from a situation, life again changes presenting us with new challenges and fresh experiences. Yin/yang – Symbolises the polarity of light and dark, the balance between feminine and male.